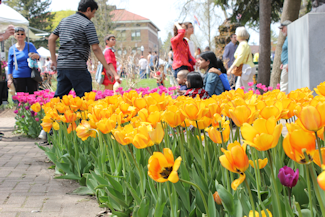 The Holland, Michigan area boasts over 5 million tulips, planted & ready to burst forth in bloom in early spring. 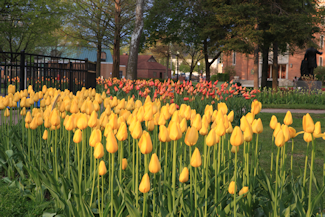 Tulips are located in City parks, at public attractions, and along City streets. 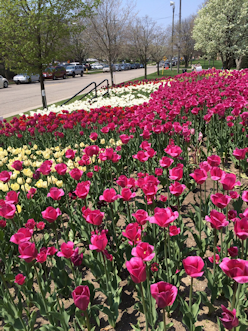 Watch the tulips grow in one of the park flower beds leading up to Tulip Time with the City of Holland Tulip Tracker! 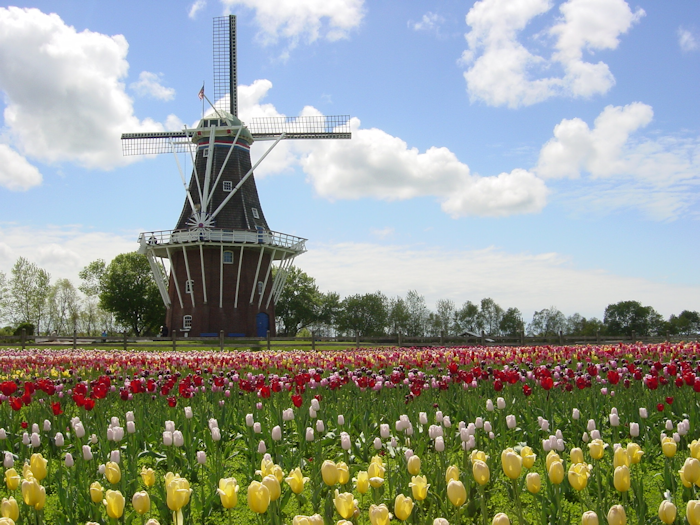 Here is a look at locations around Holland where tulips are planted. The pictures represent the quantity and layout of the plantings. 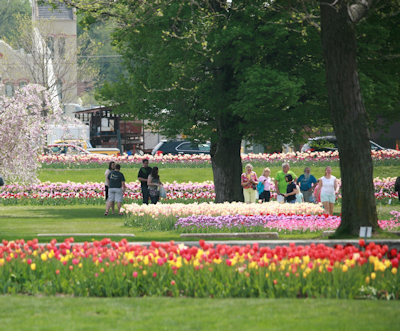 The City of Holland plants over 200,000 tulips in City Parks and in the Downtown area. 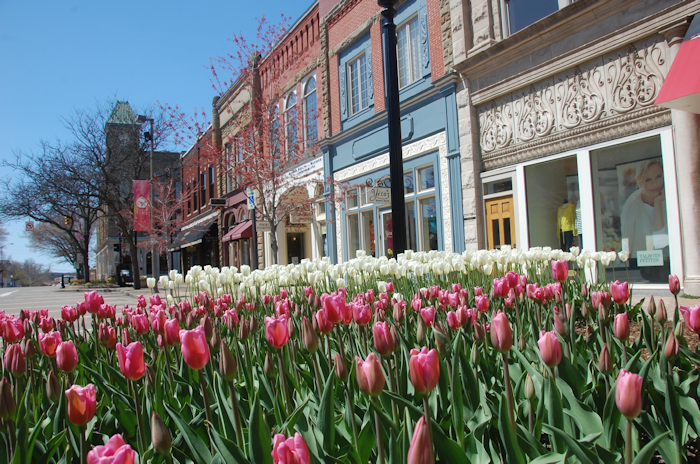 You’ll find beautiful tulip plantings along all of the streets of Downtown Holland amongst the restaurants and shops. 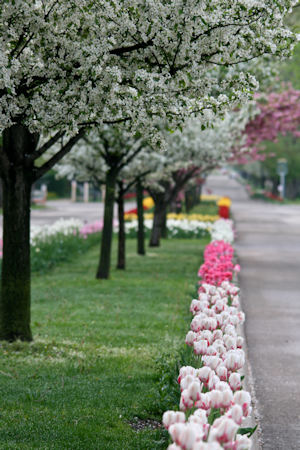 Enjoy the beauty of over 200,000 tulips lining the streets as you travel along the 6 miles of Tulip Lanes. Over 100,000 bulbs are planted each year at Windmill Island Gardens. 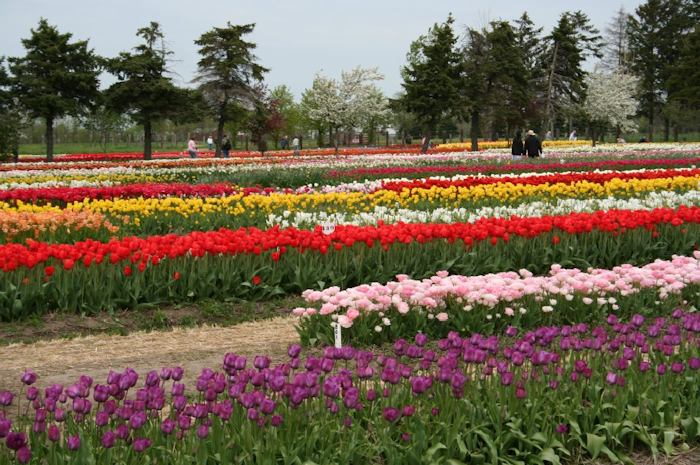 Boasts the planting of 5 million tulips. Our Festival map is a great resource for finding & getting around to the awesome display of blooms!